You may have seen lots of post from women who say they wash their hair with clay or mud. You probably think, the whole purpose of washing your hair is to remove dirt, not add more dirt. Yes, that is true the purpose of washing your hair is to cleanse it of germs, product buildup and dirt, and certain types of clays help you to do just that. These products are commonly called, mud wash or clay wash. There are companies who make packaged herbal clays ready to use straight out the bottle, these clay washes also contain additional herbs and ingredients which aide in the cleansing and conditioning of your hair and many are costly. Most people who decide to try clay washes will opt to purchase pure dry clay and prepare the clay wash when you are ready to wash your hair. Purchasing your own clays and making them yourself is very easy and much more cost effective. Clay washes are completely organic when you prepare them yourself, so this is perfect for the woman who is avoiding chemical filled products with names you cannot pronounce. Clay washes unlike shampoos or conditioning cleansers, improves the elasticity of the hair, your hair texture, defines your coils better, conditions and softens your hair 50% better than non sulfate shampoos or conditioner. With some clay washes you do not have to deep condition because it leaves your hair so soft. This decreases the amount of time you spend shampooing your hair. There are several different types of clays you can cleanse your hair with, but in this article I will deal with the two best clays, which are bentonite clay and Moroccan red clay. This clay consists of a natural mineral silicate. This clay is the best of the best clay, because when you cleanse with this clay your hair is left clean from all dirt and product but extremely soft, your coils will be stretched but pronounce and you will not feel the need to deep condition your hair. This clay works wonders by itself with only water being added to it. The Moroccan red clay as the name implies is found in Morocco and commonly referred to as detox in a bottle. If you are the type who likes to clarify their hair once a month you can throw away your harsh shampoo and replace it with a mixture of red clay and filtered water. The red clay will clarify and condition your hair in one step. You will see that you have less tangles because of the stretch it gives your hair. It gives the right balance of cleansing and conditioning, and it is all natural. What a deal! 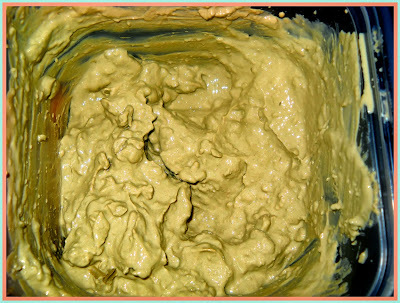 This is one of the most popular clays because it is very inexpensive and lasts a long time. This clay is highly absorbent, it will clarify your hair the best but your hair will not feel stripped or dry. Remember these clays are rich minerals from Morocco to France and Asia and other places with mineral rich dirt. This is not dirt you find in your back yard. So as it absorbs all the bad stuff from your hair it also feeds it good minerals, which leave your hair soft and supple. Unlike the Moroccan red clay, when you wash with the bentonite clay you will need to deep condition afterwards. The bentonite clay does not contain as high amounts of potassium, magnesium and silica as the red clay does. So I found that deep conditioning was still necessary after a bentonite clay wash.
More comparisons between the red clay and the bentonite clay. Because the red clay contains a higher percentage of calcium, potassium, magnesium and silica, you will find that it costs more per ounce than the bentonite clay. While both clays can also be used as face masks, the bentonite provides more absorption and tightness you would look for in a face mask, especially if you have oily skin. The bentonite clay is a better choice for doing your face masks, and you can use it everyday with no irritations, when you just use the bentonite clay and filtered water. I used it everyday for weeks, so you be your own best judge. Bentonite clay mask applied to hair & face! Ultimate beauty treat! You will have to work and rework your recipes to get the right consistency. You want your mix to be like a thick conditioner, not runny. Because you are dealing with mud you will have some splatter until you get use to it. The thicker you make your wash the less the splatter. Bentonite clay turns out green but it does not stain at all. The red clay did not stain my sink or clothes the many times I have used it, but some claim that it does. For sure it will not stain as henna or at all, but just be conscious of this. Yes it is okay to massage it into your scalp, although it seems weird it will clean your scalp also. More than likely you will make more than you will use in one application, you can store it in the fridge for 2 weeks and also use it for facials. When using the bentonite clay as a face mask, it dries really tight, really tight. Mix your clay wash slowly to prevent splatter. It is better to start with less water and add more to a to thick mix, than to use to much water and have to add more clay to thicken your wash. Please know there are many mud wash recipes out there, different combinations which utilize other natural ingredients from aloe vera, herbs, apple cider vinegar and much more. For beginners it is best to keep it simple, so here is a recipe which works really well. Put 1 cup of bentonite clay into a bowl with 1/4 cup of spring or filtered water and mix. If the mixture is to thick add another 1/4 cup and mix (with wooden spoon) until you remove all the lumps and get the consistency of a thick non runny conditioner. If your mix turns out to watery, then add more bentonite clay by stirring in one tablespoon at a time. Remember this takes some practice to get it right, so do not get frustrated if it is to watery. * I recommend bentonite clay for beginners because it cost less, so until you get the hang of mixing it you will not throw away as much money. The Moroccan red clay cost more per ounce, and because it is a rich red color it can be messier for beginners. In addition if your hair is normal healthy porosity meaning you have no issues retaining moisture on your hair, then you do not need to add anything else to the clay wash.
For those with overly porous hair, hair which has a hard time staying moisturized. I recommend using the Moroccan red clay, because it is more moisturizing than the bentonite clay. The red clay will transform your dry hair by cleaning it and making it soft with more elasticity. Mix 1 cup of red clay with 1/4 cup of spring or filtered water in a plastic bowl. Now get a wooden spoon (no metal) and slowly stir the mix to blend and remove all the lumps. Now add 1 tablespoon of apple cider vinegar (it will sizzle) and mix together again with your wooden spoon. If you mix is to thick then add a little bit of water and stir, keep adding a small amount of water until it is medium consistency. Try your best not to make your clay wash runny it will still work just fine, but you will have more drip to clean up. You apply your clay wash to your hair by smoothing it through your hair as you would conditioner, but you want to use small sections. So it is best to section your hair before you start your clay wash. Once you have massaged it into your scalp and hair you can then rinse your hair with medium temp water or you can cover your hair with a plastic cap and allow the clay wash to remain on your hair for 30 minutes then rinse. Thank you for this post! At my next wash, I will be doing a bentonite clay wash because I need a deep cleansing. How often do you suggest that we do deep cleansing treatments? Thanks MissVee! You are very welcome! Come back and let me know how you like it! Happy mixing! How do you mix the clay for low porosity hair? The same recipes as mentioned above. There is not different per porosity. I'd also like to know that^^^. I have a twa with low porosity. Could this clay work for me? How often would you recommend washing with the clay? Can this clay be heated?Thanks in advance. How often can I use the bentonite clay or red clay? i have overly porous hair and I would like to know if it's good to use it almost everyday? 2 or 3 times a week? what can you suggest me? Does the clay help your hair grow? or have you had any experience of growth since you started using this product? The clays are for cleansing. Yes I do experience better growth on a clean scalp, so the clays can help in that sense. You can use clay to replace your shampoo and use it weekly or bi weekly. Or you can use it once per month for clarifying. where do you purchase your red clay? Where do I purchase the Bentonite Clay?? Hello, Ms. Vee, what are you thoughts on using henna to color or cover gray hair? I just got my red clay powder in the mail today. I ordered mine from Amazon. Not a bad price even after shipping! I'll be using this when it's time to redo my hair! Right now I have my natural hair braided and take down isn't until Dec 1st. I'm so tempted to redo my braids early! Hello Ms Vee.......I have sisterlocks. Could I still replace my shampoo and opt for using the Red clay weekly or bi-weekly? Hello! Question, when do you use the clay, before or after a wash? Do you do it on the same day as the wash or no? Clay is a cleanser conditioner, therefore there is no need to shampoo before using clay. That is being to harsh on the hair. Those people who are doing so are in error. I purchased the red clay for your regimen on excessive tangles should I just add filtered water or also add acv? How is the ACV incorporated? Is it diluted or used as a complete H2O replacement? I am also curious about how much acv to use in either clay especially bentonite. Also should my hair be wet when applying the clay?